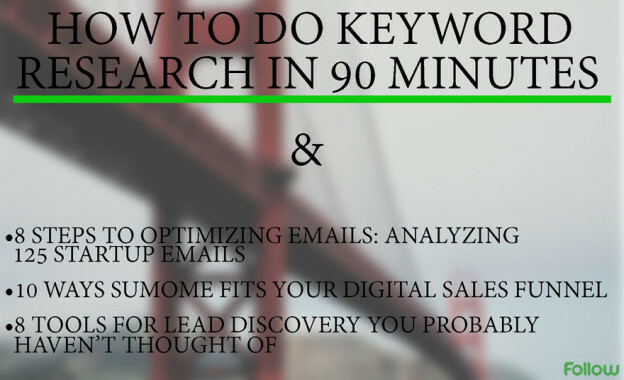 You are about to learn: 1) how to do keyword research in 90 minutes, 2) 8 steps to optimize emails with great examples from big brands, 3) how to use the free SumoMe marketing apps to propel your digital sales funnel, and 4) 8 tools and platforms to help you find more leads online. How to do Keyword Research in 90 Minutes – Is this even possible? Apparently, yes! Discover here how to: Use the Google set of free tools (40 minutes), assess the SEO reality (15 minutes), listen to the ideal audience (15 minutes), demonstrate room for growth (20 minutes). 8 Steps to Optimizing Emails: Analyzing 125 Startup Emails – This is quite a long post, and filled with great insights. 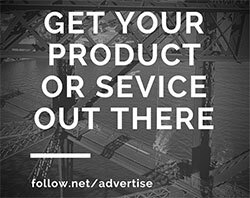 Click above, and learn more about the importance of mobile responsiveness, welcome emails, how to properly test (subject lines, calls to action, etc. ), how to use images, and much more. 10 Ways SumoMe Fits Your Digital Sales Funnel – SumoMe is a set of free tools, or apps, to grow website traffic. With SumoMe, you get access to tools for email marketing, social media sharing, lead generation, and more. This article analyzes how to use all these apps to propel your digital sales funnel. This entry was posted in Customer Acquisition Strategies and tagged big brands, digital sales funnel, examples, keyword research, leads, marketing apps, optimization, process, sales funnel on January 30, 2015 by Davide Di Prossimo.